The Meaning of "flat head"
"flat" is from "flatr" (level), spoken by people in North England about 800 A.D. 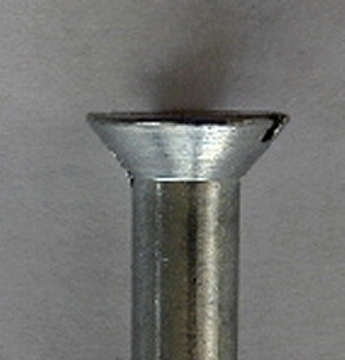 Type of head for a screw or bolt. Surface of head is usually flush with object that is held. Added during manufacture and can have various sizes and drive types. 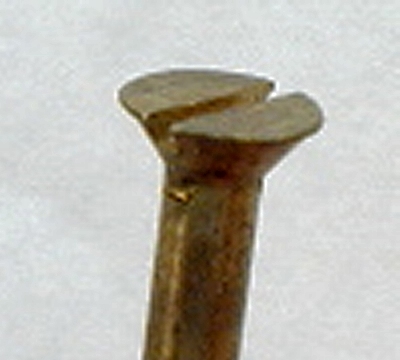 It is a large flat head screw and half the head has snapped off. 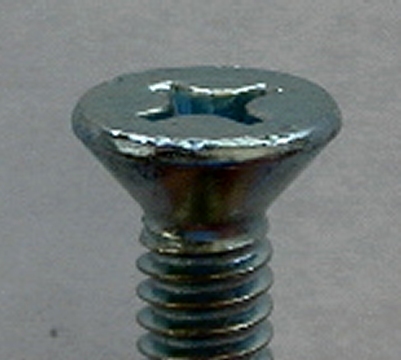 But you know, the main advantage when using a flat-head screw is that when left exposed, out in the open, it is less noticeable.